Apart from 1 category in the Dance competition, there were 2 categories in the Vocal competition: the Nusantara Category for students from Singapore , Brunei and Indonesia , and the International Category for students outside the region. 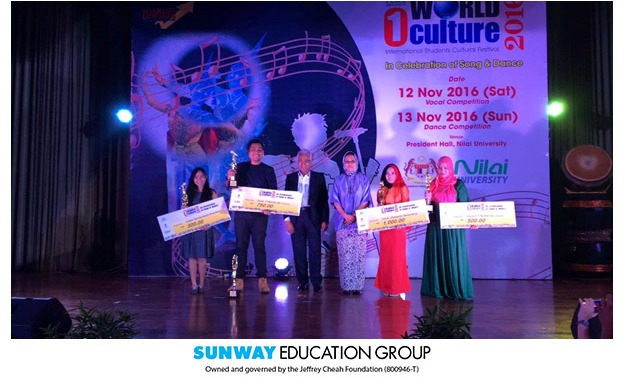 Sunway was represented by 1 student in the Nusantara Category whilst 2 students in the International Student category. 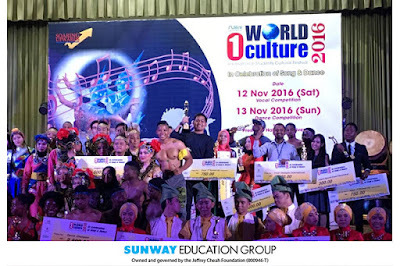 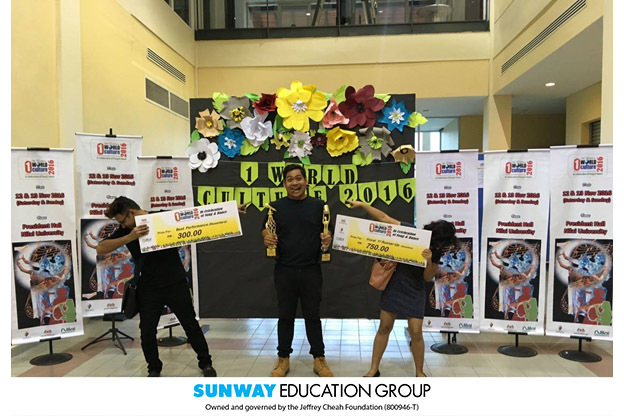 The VUBB programme is proud that Sunway - VU student, Muhamad Zuhaldi from Indonesia won the 1st runner-up and best performance award under the Nusantara category and walked away with 2 trophies and cash prizes amounting to RM 1050. 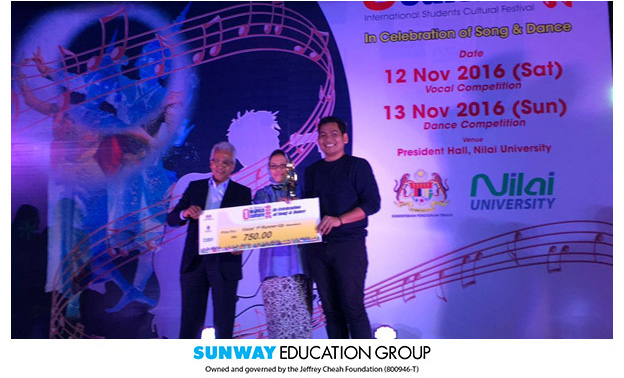 This is the second time Zuhaldi has taken part in the competition. In last year’s competition, Muhamad Zuhaldi was awarded Special Judges Award for Best Vocal, and was specifically requested by the organisers to perform together with his fellow course mate, Masahiro, at the closing ceremony. 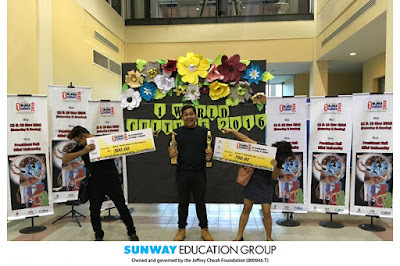 Just goes to show that Sunway-VU’s got talent.